A lot of the heavy lifting done by the Nexmo Messages API happens on the server-side. Messages are sent, received, processed and so on but usually all this activity is hidden away from end users of many of the applications that utilise the API. For the most part, the display of these messages to the end user is handled by their respective applications. There is also the option of displaying these messages in a browser, but for that, we’ll need some way of pushing the messages from the server to the browser. And we can do that with the help of the WebSockets API. We will walk through the process of building a “virtual” phone in the browser that can send and receive SMS. We’ll use Glitch to host the application, so some of the setup instructions are geared toward Glitch. You can also use any environment with Node.js installed, if that’s what you prefer. All the dependencies for this project are handled via npm. Glitch is constantly improving its interface and features, so as of time of writing, you can create a new account on Glitch by clicking on the Sign in button in the top right corner of the page, and login via GitHub or Facebook, or sign up with your email address. To install additional node packages, you can access the command line by clicking on the Console button in the logs window. You can toggle the logs window by clicking on the Logs button near the top of the sidebar. From there, you can use all the standard CLI commands in a bash environment. The only difference is that on Glitch, you would use pnpm instead of npm. Glitch uses Express as its default Node.js framework, but converting the app to Koa.js is not too complicated. Do note that Koa requires node v7.6.0 or higher for ES2015 and async function support. Now, when you try to view your application, it should show a blank page with the words Hello Dinosaur. We would need to serve up a basic HTML page with input fields so users can enter relevant information for sending an SMS, like the phone number of the recipient, and the message itself. Now, instead of hello world, your app should be serving the default Glitch index.html file. We will modify this file to mimic a phone interface later on in the tutorial. 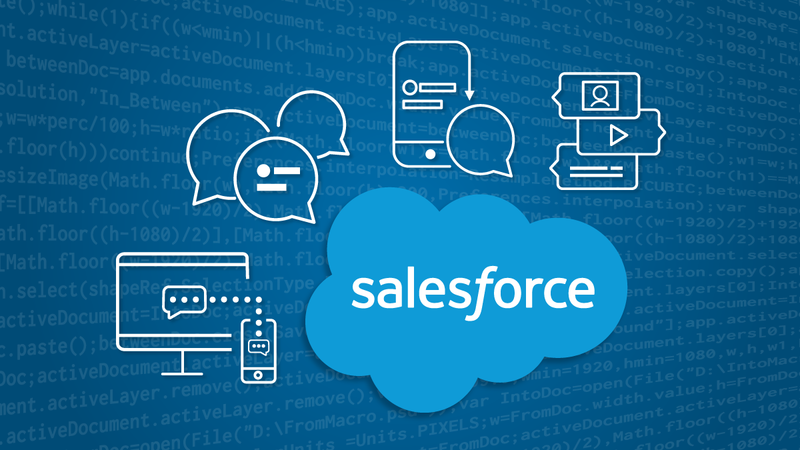 If you are new to Nexmo, start off by signing up for a Nexmo account to get access to your API key and secret, which are required to use the Nexmo REST API client. Once you sign in to your account, you will be able to see your API credentials right on the dashboard. And now we’re done with the basic setup. This can be the starting point for any number of Koa applications that utilise Nexmo’s APIs, so you can always keep this project as a starter-kit on Glitch and remix from it. The WebSocket protocol was developed by the Internet Engineering Task Force (IETF) to enable 2-way communications between a client and a remote host. It is a type of communications protocol, like HTTP (Hypertext transfer protocol), FTP (File transfer protocol) or SMTP (Simple mail transfer protocol). Communications protocols allow machines to communicate with each other. Most communications protocols maintain an open connection between 2 machines across the internet. HTTP, which is what the web runs on, is different. It is known as a connectionless protocol, because it is based on a request/response mode of operation. Web browsers make requests to the server for images, fonts, content etc. but once the request is fulfilled, the connection between the browser and server is severed. It is possible to upgrade an existing HTTP connection to a new, incompatible protocol using the HTTP upgrade header. Connection requests are always initiated by the client, although the server may enforce an upgrade by responding with a 426 Upgrade Required HTTP response to the client. An HTTP/1.1 connection may be upgraded to a TLS connection (not a recommended approach), an HTTP/2 connection or a WebSocket connection, which is the most common use-case for an upgrade. Establishing a WebSocket connection between the client and the server involves an intial HTTP/1.1 request that includes the upgrade headers. Anything other than a 101 indicates the WebSocket handshake has not completed. Once the handshake is completed, the initial HTTP/1.1 connection is switched to a WebSocket connection and data can now be sent back and forth between the 2 machines. The WebSockets API is an interface which allows web applications to use the WebSocket protocol for maintaining bidirectional communications with server-side processes. Most browsers released after 2012 support the WebSockets API, so support is reasonably good. 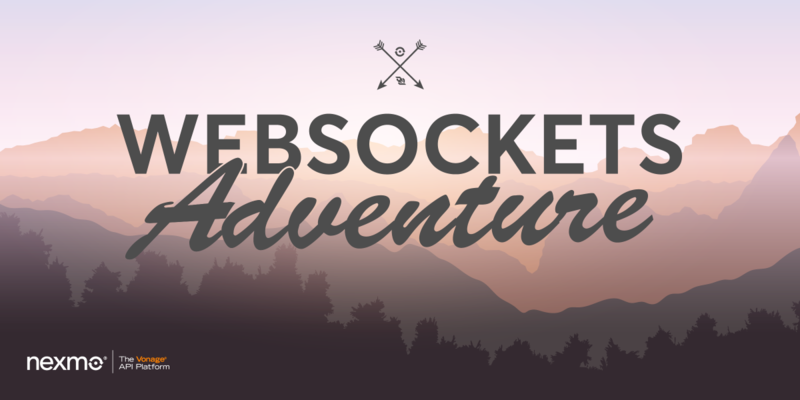 The WebSocket object provides the API for creating and managing a WebSocket connection to a server, as well as for sending and receiving data on the connection. We can create a new WebSocket object with the WebSocket constructor, WebSocket(url[, protocols]). The URL passed into the WebSocket constructor must be of the ws or wss scheme for things to work. Finally, the close event fires when the WebSocket connection is closed. Once this happens, the client and server can no longer send messages to each other until a new connection is established. There are also 2 methods associated with the WebSocket object, send() for send data to the server and close() for terminating an existing WebSocket connection. The send() method only works while the connection is open, which seems obvious, but if the code is structured incorrectly, could end up being triggered before the connection is open or after the connection is closed. 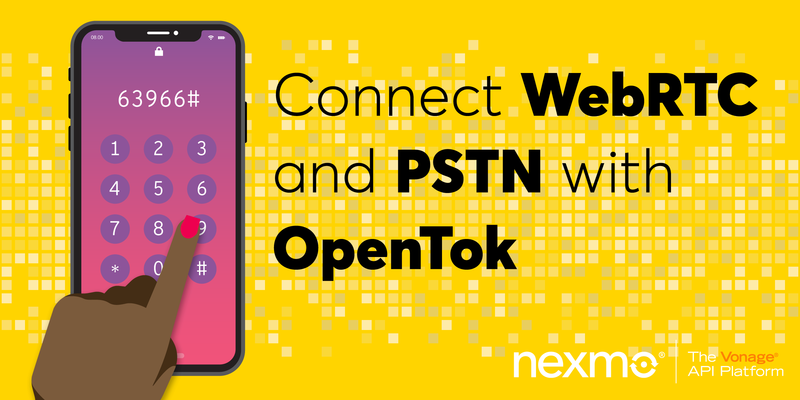 Now that we have a better understanding of what WebSockets are and how the WebSocket API works, we are ready to utilise this knowledge to create a basic application for sending and receiving SMS directly via the browser with the Nexmo Messages API. To send and receive SMS via the Messages API, you will need a virtual phone number, which is like any standard phone number, except they are not tied down to any physical phone line or device. If you’re using Glitch, your webhook URL would look something like https://boom-meal.glitch.me/inbound-sms. I suggest using inbound-sms as the route, but you can use anything you like, as long as that route is valid in your application. Adjust the webhook URL accordingly depending on where your application is hosted. One more thing to check is that the default SMS setting on your acccount is set to POST under HTTP method. To receive an inbound SMS, you’ll need to add a route in your application to handle the incoming POST request that is triggered when somebody sends an SMS to your virtual number. Unlike other popular Node.js frameworks like Express or Hapi.js, routing is handled by a separate module, so we’ll need to install it first. If you followed the setup instructions earlier in this tutorial, koa-bodyparser should have already been installed. A body parser is needed to handle the request body. To check that everything is hooked up correctly, send an SMS to your virtual number. The message payload should be logged to the console. Now that we’ve verified things are working, instead of logging the message payload to the console, let’s use WebSockets to send the relevant information to the browser. But first, let’s install a Node.js WebSocket helper library called ws. Replace the original app.listen(3000) with server.listen(3000). Let’s also add a function to handle the incoming message payload, then send this data over to the browser. The next step is to ensure the browser is ready to receive this data from the server, so it’s time to set up the front-end of things. There are 2 functions here, start() to establish a new WebSocket connection and the corresponding event handlers, and check() to check if the status of the connection and reconnect if disconnected. Now, if you open the browser console on your application and leave it alone for a while, you should see a series of open and close being logged to the console. We can add more elements and styles to make it look more like a mobile phone later. For now, let’s get all the data displaying in the correct place first. We’ll add 2 more functions to the client.js file that will parse the data sent over from the server and append them to the DOM. Add this new function to the onmessage event handler and when you send an SMS to your virtual number, that SMS should display on your page, albeit slightly unstyled and not looking too pretty. Next, go back to your Nexmo dashboard and navigate to the Create an application page under the Messages and Dispatch section on the sidebar. Fill in your application name, and the webhook URLs with your Glitch app URL as the host. You will also need to generate a public/private key pair, which will prompt you to download the private.key file. It is important that both the webhook URLs are configured, and your application has routes set up for both these endpoints to accept POST requests in order to prevent an unwanted message queue build-up. We’ll need some way for users to enter the recipient’s phone number and the message they want to send, so let’s add some input fields for them to do that. What we’re doing here is triggering the send() function when the user clicks on the Send button or the Enter key. There is also a very rudimentary check on the phone number field, to make sure only digits are entered. The message will also be displayed on the browser, like a typical messaging application. There is a lot more to be done for field validation from a security and UX standpoint which is out of scope for this tutorial, but validation is important and it is always best practice to devote effort and testing to make sure it’s done right. On the server-side of things, we need to take the data sent through from the browser and forward the message to the recipient’s phone number. This is to make sure POST requests from Nexmo have proper endpoints to be sent to and receive 200 responses upon successful delivery. 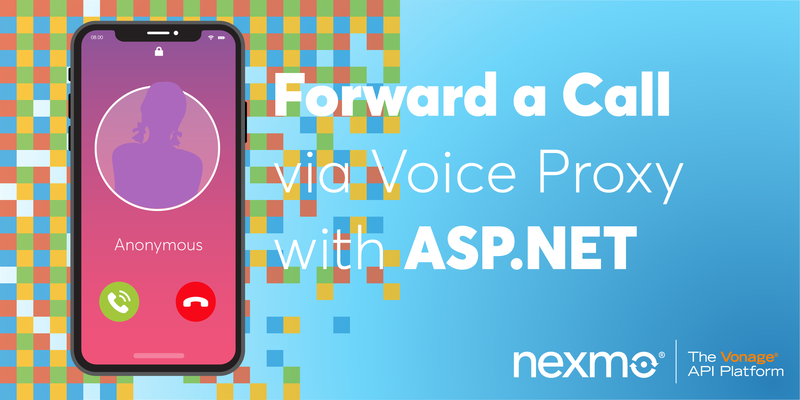 We’ll add a message handler and a forwardSMS() function which will utilise Nexmo’s Messages API to send an SMS to the target recipient once data from the browser is received. To test that everything works as expected, enter the phone number of a mobile phone which you have access to and send a test message. Your target recipient should receive the SMS within a few seconds. If your target recipient replies to the SMS thread, then the message will be sent back through to the browser. Now that the underlying system is up and running, there are several things you can do if you want to continue this project, like making the interface prettier, adding stronger validation checks on both the client and server, edge case handling, etc. My version of this project is called V-mobile and you can check it out on Glitch. If you like how it looks, feel free to remix my project and make it your own. 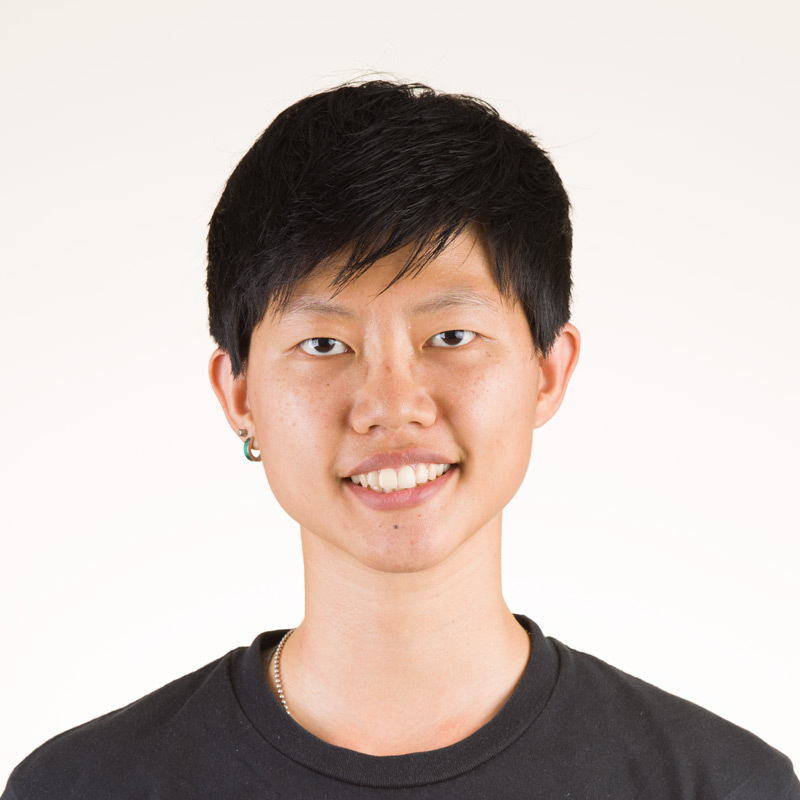 Hui Jing is a Developer Advocate at Nexmo. She has an inordinate love of CSS and typography, and is generally passionate about all things web.